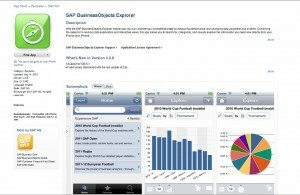 If you love SAP BusinessObjects Explorer as much as we do, you will be extremely excited to find that you can take that powerful reporting mechanism on the go with you on your iPad/iPhone. 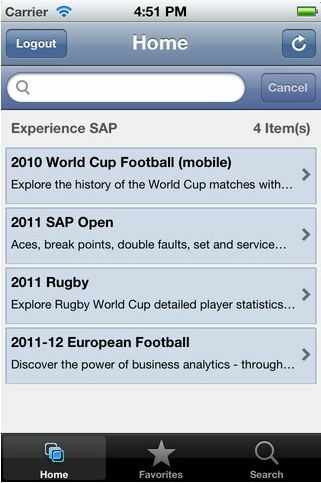 SAP BusinessObjects now provides a free SAP BusinessObjects Explorer app that works very much like the enterprise software and allows you to access data via information spaces, visualize and explore the data in multiple ways, as well as share that information with coworkers or save it for yourself for future reference. 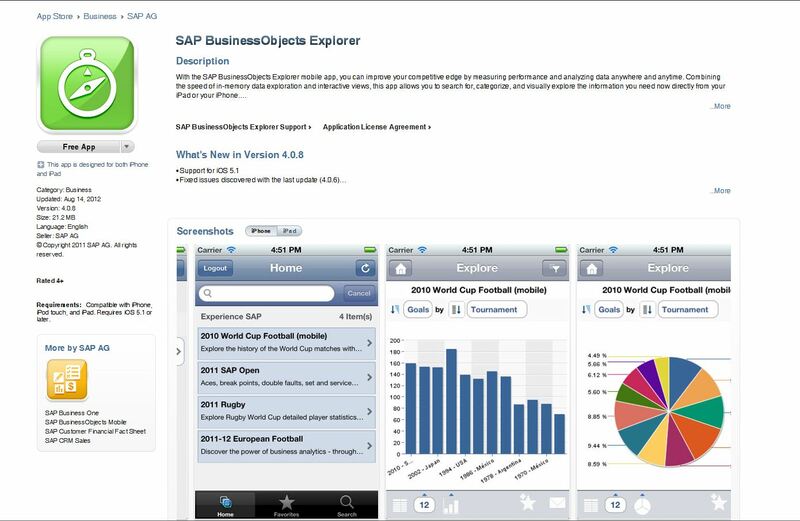 SAP BusinessObjects Explorer is the iPad/iPhone application you use to access and navigate through information spaces and exploration views. 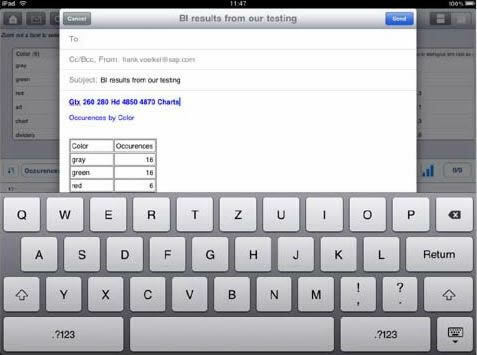 It is an intuitive data discovery application designed for mobile devices that helps you identify trends in your data and to quickly retrieve answers to your business questions on your iPad or iPhone. 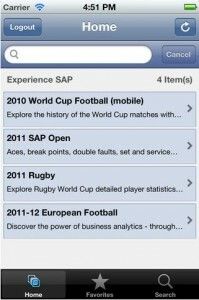 Download the app from the iTunes store (SAP BusinessObjects Explorer) to your iPad or Iphone. Very much like the enterprise software, to access your data, you must choose an information space that is created from a universe in your BusinessObjects environment and populated with your companies data. Once you have selected an information space, you can then explore and visualize your data in multiple ways. You can change or add additional dimensions and measures that are in a graph to enhance the mobile reporting experience. 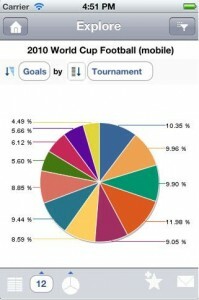 Bar charts and pie charts, like in the pictures below, are available as visualizations. 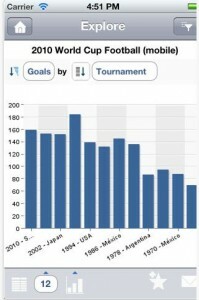 Other graph types are available as well as the ability to focus on specific graphs, enlarging or reducing a graph or chart, and navigating the axis of graphs to find key values. Finally, once you have explored and visualized the data to the point where you are ready to share the information with a colleague or for yourself in the future, you can email it out by selecting the arrow in the top right hand corner of the app and then selecting send by mail. You can also add it as a personal view that you can reference in the future by also clicking on the arrow in the top right hand corner of the app and selecting Add to Personal Views.